Simple and chic. 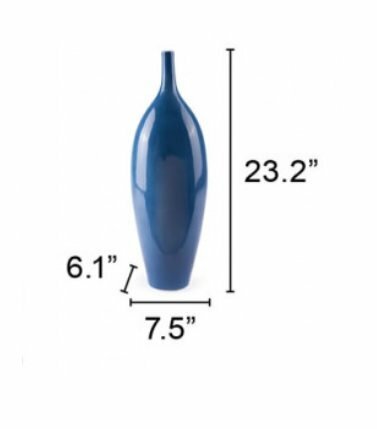 This luminous blue vase is minimal in form, but will add a bold touch to any room. Tall and slim, it's perfect on a console table or open bookshelf. Pair it with the medium and small cobalt vases for extra impact.